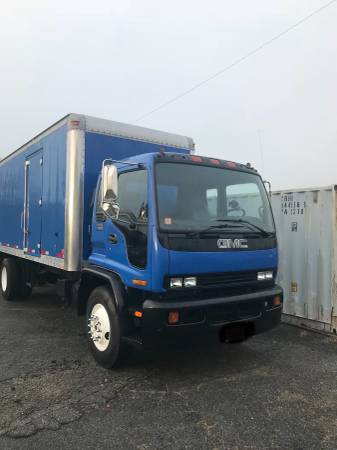 WAS $12,500 NOW $10,500 FIRM..1999 GMC T7500 24’ box truck w/ air brakes, and curbside Door. Only 76,570 original miles! Push button automatic Allison Transmission.Very good condition with nearly new tires, batteries, and alternator. Was painted by previous owner. Must sell due to downsizing. Can be seen most evenings and Saturdays. I WILL NOT RESPOND TO EMAILS. CALL OR TEXTS ONLY! DO NOT NEED HELP SELLING!